National symbols tell a great deal about a country. 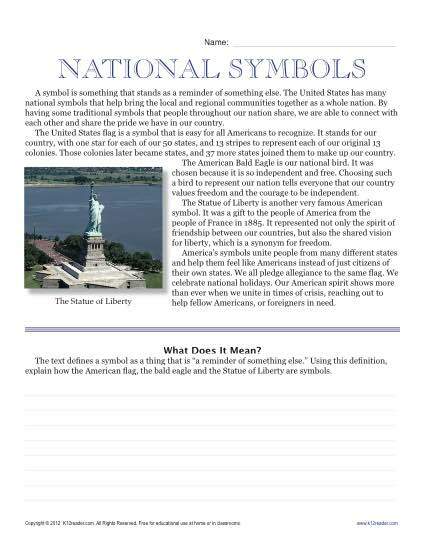 Your student will learn about some of the most famous symbols for the United States in this worksheet. He’ll also practice his reading comprehension by defining what the symbols mean. The worksheet follows 6th grade Craft and Structure guidelines for Common Core Standards. It may also be helpful for other grade levels.